Look at how glittery they are. Well. Kinda. As many of my blog friends know, it is difficult to capture how sparkly things are in a photography, but I can assure you, they really are sparkly! What do you think. 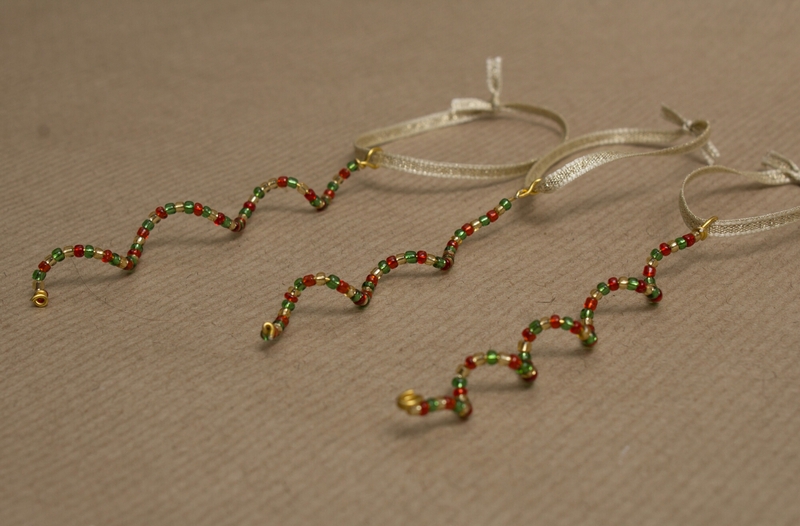 To make them, I threaded tiny beads onto wire, then bent the wire around a pencil to achieve the spiral shape. These were quite tricky to make as the beads were so tiny, and I am not the most dexterous of people. I can tell you, I had to hoover many many beads off the floor once I had finished! But it was worth it because they are so lovely! All profits will go to Mind – you can find their website here!